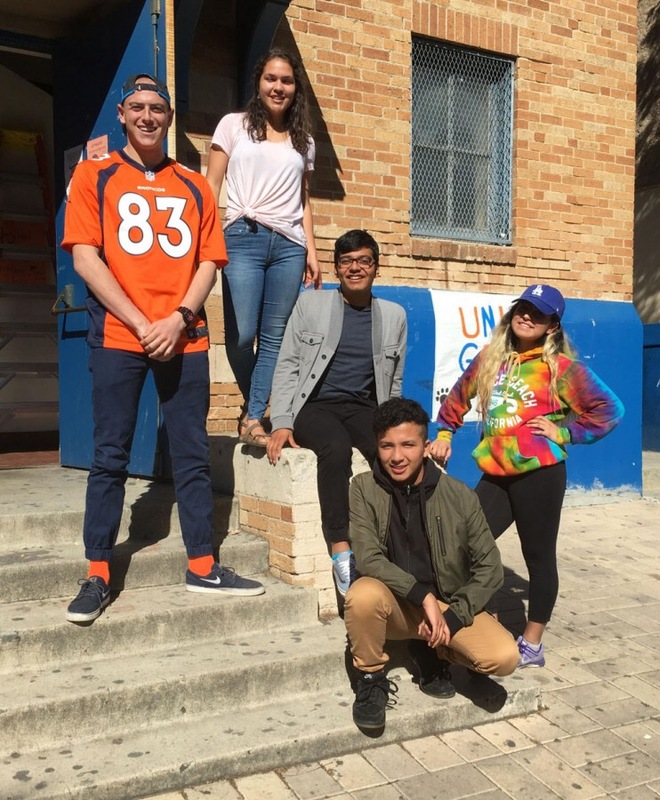 As the second semester kicks into gear, newly elected ASB Board officers are introducing new initiatives that significantly improve the cleanliness and atmosphere of the campus as well as unify the students of University High. “My most important goal as president is to unite the student body and let all of us experience THE U!” says ASB President Matthew Horwitz, a junior. First, Uni Gras, an event previously known for clubs gathering on the upper field to sell food, was made into more of a carnival with live performers and activities. The changes won’t stop there; Horwitz has plans to create new events and means of communication between leadership and the student body. An effort is being made to establish a whole new event at Uni, known as “U Olympics.” Each grade level will compete with each other in various athletic challenges in the Grove and the lower-field basketball courts. In addition to sports competitions, there will also be trivia and carnival events like tug of war. The event will conclude with awards being given out to the class teams that score the highest. The schedule will be the same as Uni Gras with periods 1 through 6 and having the last hour of school dedicated to the event. This new event will be voted on March 17, and will hope to take place for the first time in fall of 2016. In the meantime, leadership has created their own Snapchat for the school to connect to students on a more modern and trendy level. Their goal is to provide a peek behind the curtain to see what leadership does. Important events like Uni Gras, leadership meetings, school plays, sports events and event reminders are all being posted to the Snapchat. In addition, Uni students can message leadership through this platform to inform them of any issues. Signs have been posted in all of the classrooms with a picture of the Snapcode, as shown in the picture at the top right, to make it easier for students to add leadership to their friends list. Horwitz then noticed that there was separation among the sports teams on campus. Each individual sports team doesn’t know each other’s game schedules and are responsible for fundraising on their own. From the swim team selling chocolate bars to the baseball and girls basketball team selling chips, teams are fending for themselves to raise the necessary money for equipment. In order to create more communication between sports teams, a Uni Athletics Council is being formed. Team captains would get together once a month to create inter-sport competition, as well as raise money together and address any problems that teams are having. If this council is successful, another one might be created as a platform for clubs and the student body to communicate. ASB also has more ambitious plans that they cannot enact because of restrictions by LAUSD. Andy Santiago, senior and ASB Secretary, would like to bring back clubs selling food on the Wildcat Walk every day during lunch. About 10 years ago, clubs sold food such as pizza or ice cream during lunch, earning around $50 profit per occasion. Students would support each other’s clubs and actively socialize with kids from all corners of the school. Due to district policy, this was put to an end because it was considered unhealthy as well as competition for school lunches according to an LAUSD policy bulletin. Senior Arielle Huitrón, the ASB Vice President, wanted to get food trucks to come to campus for lunch, but this was shot down by the district for the same reasons. The student body also faces issues with time constraints. Many of the plans that 2016 spring semester officers have started will not take place until next semester. Principal Davidson has restricted leadership from holding events during the first two weeks of May, when students take AP Exams, and the last two weeks of school, when seniors are graduating. Despite these challenges, the 2016 spring semester ASB board officers are determined to make improvements upon the school and unify the student body for many more years to come.